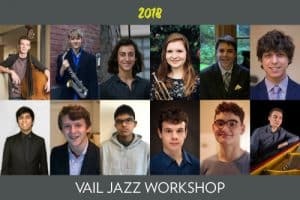 Each year, a dozen of North America’s most dedicated, gifted and promising young jazz musicians are chosen from a broad field of talented applicants, receiving scholarships to participate in the 10-day Vail Jazz Workshop. Organized in conjunction with the Vail Jazz Festival, this highly regarded curriculum is now in its 24th year, mentoring 262 high school-aged musicians since its inception. The Vail Jazz Workshop, among the longest-running programs of its type, enables the student musicians to study and be coached in an environment that emphasizes intense interaction with instructors and fellow students, while providing them with the unique opportunity to perform alongside legendary professional musicians at the Vail Jazz Party over Labor Day Weekend. It is a rigorous learning experience that is conducted exclusively, and uniquely, without any written music, emphasizing listening skills, improvisation, and playing by ear. The Workshop covers jazz theory, group lessons, private lessons, jazz improvisational work, ensemble participation, and multiple performance opportunities. By anecdote, reputation and word-of-mouth—from students and professionals alike—the 12 annual slots at the Vail Jazz Workshop are among the most coveted music scholarships among pre-college jazz musicians today. Many Workshop alumni have advanced to highly successful musical careers, garnering numerous awards, Grammy® nominations, albums, and tour dates with jazz notables, as well as fronting their own groups at notable jazz venues and festivals throughout the world. 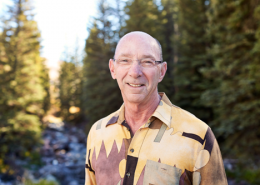 This, in turn, supports the stellar reputation of the Vail Jazz Workshop as one of the finest performing jazz study opportunities in the world. 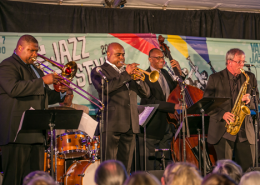 And, in a nod to the exceptional talent the Workshop has nourished over many years, the Vail Jazz Festival annually features returning alumni—now professionals—to perform as the Vail Jazz Alumni ensemble. The Workshop is directed by John Clayton, bass, Jeff Clayton, sax/woodwinds, Bill Cunliffe, piano, Wycliffe Gordon, trombone, Lewis Nash, drums, and Terell Stafford, trumpet. Each of these exceptional teachers is greatly in demand on the international jazz scene, often sacrificing far more remunerative opportunities to “pay it forward” by sharing their time and talents as teachers and mentors to aspiring jazz musicians. Each year, a live recording of the performances by the Workshop students, billed as the “Vail Jazz All-Stars,” at the Vail Jazz Party is turned into a double CD, for sale to the public. All proceeds will be used to provide scholarships to students for the following year’s Workshop. 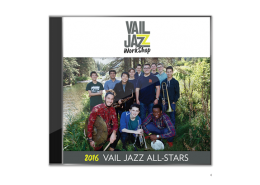 The CD of the Vail Jazz All-Stars is available to purchase at Vail Jazz events or by calling a member of staff. The application process consists of 1) a written application, 2) recommendation from a musical professional, 3) video audition and 4) interview. To be considered for admission an applicant must complete the above and submit all materials by the stated deadlines. Full and partial scholarships are available to applicants who are admitted to the Workshop. John has directed the Workshop since its inception in 1996, and has been a major creative and educational force for the over 200 graduates. The Grammy winner and eight-time Grammy nominee began seriously studying the bass at 16 with Ray Brown. After touring with Monty Alexander and Count Basie & His Orchestra, he founded the Clayton-Hamilton Jazz Orchestra and The Clayton Brothers together with his brother Jeff. He has written and arranged music for Diana Krall, Dee Dee Bridgewater (including her Grammy®-winning Dear Ella), Natalie Cole, Regina Carter, Milt Jackson, Nancy Wilson, Quincy Jones, George Benson and Paul McCartney. 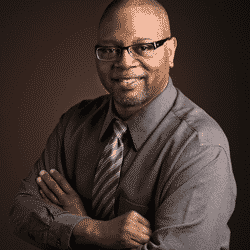 A devoted educator, John currently serves as president of the International Bassists Society, Artistic Director of the Lionel Hampton Jazz Festival, Sarasota Jazz Festival and Centrum Jazz Workshop, and teaches at USC’s Thornton School of Music. Jeff has been instrumental in the Workshop over its development. The Grammy nominee studied oboe at California State University before being asked to tour with Stevie Wonder. He went on to record with Gladys Knight, Michael Jackson, Patti Labelle and Madonna. In 1977, he founded The Clayton Brothers with brother John, and later formed the Clayton-Hamilton Jazz Orchestra with Jeff Hamilton. He has worked with Frank Sinatra, Sammy Davis Jr., Ella Fitzgerald, Woody Herman, Lionel Hampton and Lena Horne, and played in the Count Basie Orchestra while under the leadership of Thad Jones. A dedicated educator, Jeff has taught Jazz Studies at UCLA from 1998-2002 and at USC from 2000-2004, and has numerous jazz camps and clinics to his credit including the Stanford Jazz Camp, University of Notre Dame, and Port Townsend. Jeff and his brother John were nominated Educators of the Year in Jazz Times Magazine in 2005. 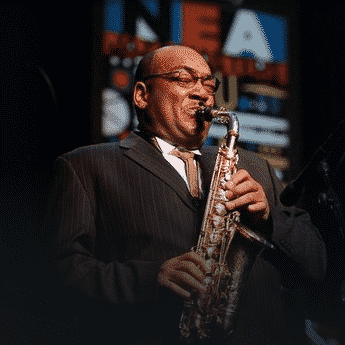 Grammy award winner and five time Grammy nominee, Terell has performed with groups such as Benny Golson’s Sextet, McCoy Tyner’s Sextet, Kenny Barron Quintet, Frank Wess Quintet, Jimmy Heath Quintet and Big Band, Jon Faddis Jazz Orchestra, Carnegie Hall Jazz Band and Dizzy Gillespie All-Star Alumni Band. 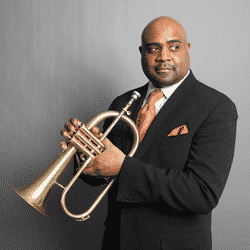 He is the Director of Jazz Studies and Chair of Instrumental Studies at Temple University, founder and band leader of the Terell Stafford Quintet, and Managing and Artistic Director of the Jazz Orchestra of Philadelphia. He is renowned in the jazz world as an educator, performer and leader along with countless award nominations, accolades and associated acts. He has conducted workshops and clinics with the Monk Institute, Juilliard Jazz Seminar, Jazz at Lincoln Center and Stanford Jazz Workshop, among many others. 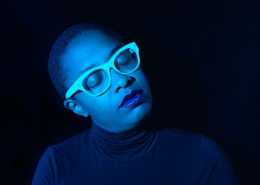 Wycliffe is one of the nation’s foremost music educators having held positions at Juilliard School of Music, Michigan State University and currently at Manhattan School of Music in the Jazz Arts Program. 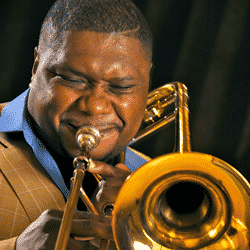 Selected as Downbeat Magazine’s Critics Choice for best trombonist in 2012, 2013 and 2014, Wycliffe has had a remarkable career, including membership in the Wynton Marsalis Septet and the Lincoln Center Jazz Orchestra. He is regularly featured as guest faculty, teacher, clinician and conductor for All-State festivals, band clinics, the Louis Armstrong Summer Jazz Camp, the Int’l Trumpet Guild, the Int’l Trombone Festival and countless other high school and university programs and guest appearances. Jazz pianist, composer and Grammy Award-winning arranger Bill Cunliffe is known for his innovative and swinging recordings and compositions. Bill began his career as pianist and arranger with the Buddy Rich Big Band and worked with Frank Sinatra, Joe Henderson, Freddie Hubbard, Benny Golson and James Moody. His many accolades include the Thelonious Monk International Jazz Piano Award and multiple Grammy and Emmy nominations. He has established himself as a solo artist and bandleader, with more than a dozen albums under his name. 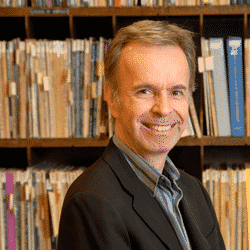 Bill is Professor of Music at California State University Fullerton, where he was honored as “Distinguished Faculty Member” in 2010, and has taught at numerous institutions, workshops and clinics including the Skidmore Jazz Institute and Temple University. Named “Jazz’s Most Valuable Player” by Modern Drummer magazine, Lewis has one of the longest discographies in jazz and has played on over 400 records. He has performed or recorded with jazz immortals including Oscar Peterson, J.J. Johnson, Dizzy Gillespie, Sonny Rollins, Betty Carter, Clark Terry, Stan Getz, Milt Jackson, Horace Silver, Ron Carter, Jim Hall and Ray Brown as well as with Wynton and Branford Marsalis. 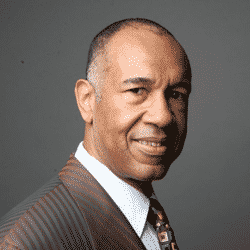 A noted educator, having served on the faculty of the Juilliard School of Music, Lewis founded The Nash in 2012, a nonprofit educational center in Phoenix, AZ, featuring jazz legend and educator Wynton Marsalis.